Chiropractic medicine is a safe and effective treatment for many types of neuromuscular (relating to nerves, muscles and joints) disorders. It is based on the scientific fact that your body is under control of your nervous system. When your spine or extremity joints become irritated, injured or restricted, your nerves become aggravated causing pain and other problems. As a chiropractor, Dr. Backhaus detects these restrictions and restores proper joint motion and neurologic function through a joint manipulation, mobilization or adjustment. In addition to providing chiropractic care, Dr. Backhaus assesses and treats other contributing factors including the muscles and other soft tissues, as well as lifestyle, exercise, ergonomics and posture. Chiropractors receive comprehensive diagnostic training, and he can help you decide whether chiropractic is right for your condition or if you need to consult with another medical professional. 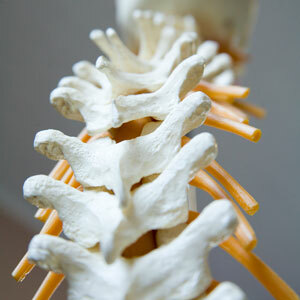 Dr. Backhaus utilizes a traditional, hands-on approach to chiropractic care. He also has an Activator® instrument for those who prefer a gentler touch. If you hear a noise during the adjustment, rest assured that it is merely gas escaping from a joint and is no cause for concern. With a thorough examination, Dr. Backhaus takes every precaution to ensure chiropractic is right for you before performing the adjustment. Many factors in day-to-day life can add to or cause joint restrictions. Some common causes include injury (car accident, whiplash, sports injury and falls), stress, poor posture, repetitive motions, prolonged sitting or standing, poor sleep habits, improper lifting, lack of exercise or poor form during exercise. A manipulation or adjustment can be done on most joints in the body including the spine, upper extremity and lower extremity joints. This process may involve either gentle pressure (mobilization) or a quick, precise thrust to restore normal motion and decrease pain. An adjustment is usually performed on joints that feel misaligned, stiff, restricted or locked up. Did you know that 80% of the U.S. population experiences back or neck pain at some point with some people having recurrent episodes? For best results, follow your treatment plan and perform home exercises even when pain-free. If a relapse does occur, do your home exercises, apply ice and return for treatment ASAP. Contact our Lakeview practice with any questions, to discuss the benefits of chiropractic or to arrange a free consultation with Dr. Backhaus.